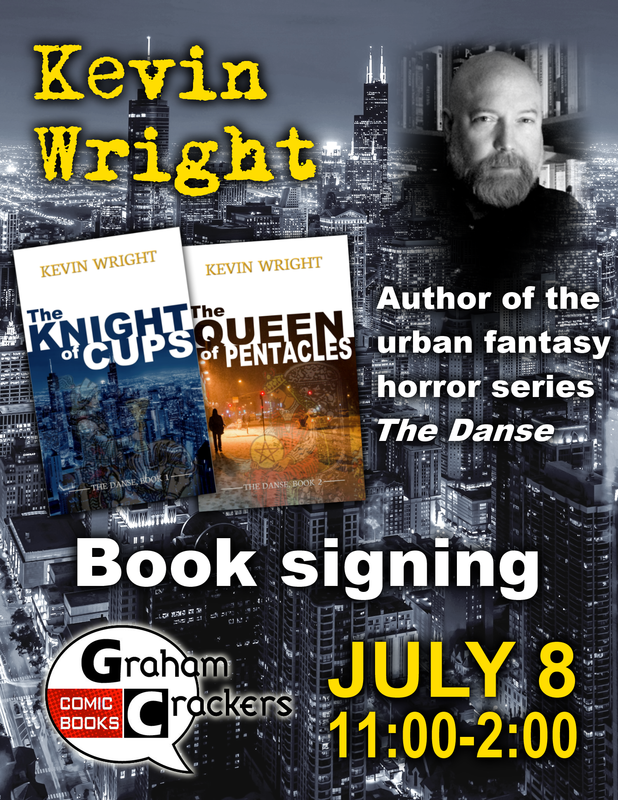 Kevin Wright will be conducting a book signing at “Graham Crackers Comics,” the new comic book store at 115 W North St, Normal, IL 61761. Kevin will be at Graham Crackers on Saturday, July 8th, from 11:00 AM – 2:00 PM, as part of the Sugar Creek Arts Festival. Come on out and join us!